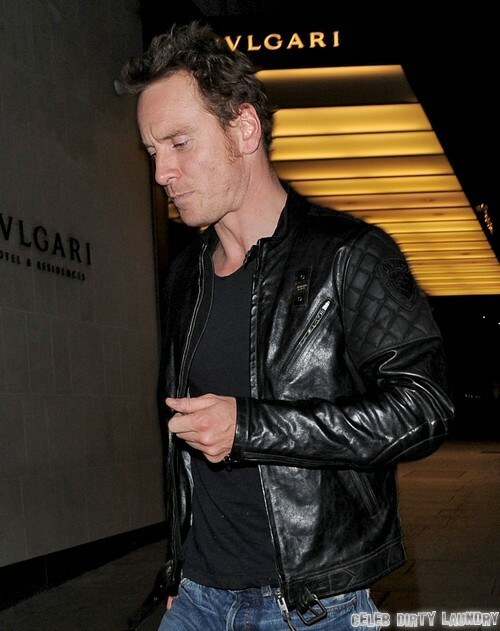 It’s been confirmed that Michael Fassbender is dating Olympian Louise Hazel. However, he was also spotted with a mystery blonde in Montreal this weekend. No big deal, right? Well, as soon as the paparazzi approached, he reportedly started screaming at her to keep her distance. Why was he so worried about being photographed with this woman? Is it now a crime to stand next to a female friend when you’re in a relationship? Or is he trying to cover up an indiscretion? Just last week, Michael was spotted holding hands with Louise Hazel, and legitimate outlets confirmed the relationship several days later. Michael’s currently shooting X-Men: Days of Future Past in Montreal, Canada, and Louis definitely hasn’t been around the past couple of days. Since the relationship was only confirmed last week, I highly doubt that they’ve already split up. So what are the chances of Michael actually cheating? While there have been rumors of violent behavior with his ex-girlfriend, there’s never actually been mention of cheating. Then again, Fassbender only hit the A-list in the last year, so he could have very easily kept his dating life on the down-low before then. The body language between Michael and his mystery blonde doesn’t give anything away either. They are both standing several feet apart, although they both look like they’re trying very hard to look unconcerned by the paparazzi presence. There’s also the unlikely chance that this woman was some stalker and Michael didn’t realize it until the cameras arrived. Yeah I know, I don’t buy it either. It looks like something’s afoot, because if there was nothing going on, I just don’t see why Michael would have been so concerned about the paparazzi. He’s been pictured plenty of times with female friends before. That being said, he could have just been worried about this ‘friend’, and wanted to protect her from the paparazzi. Chivalrous for certain, but again – I don’t know how much of that I buy. Report: Will Smith And Jada Pinkett Smith Divorcing Or Apologizing For Scientology?